U.S. News & World Report has named Budd Terrace, Emory’s skilled nursing facility, a Best Nursing Home for 2016-2017. This is the fourth consecutive year the facility has been designated a Best Nursing Home. To be rated by U.S. News, a facility has to receive an overall star rating from the Centers for Medicare & Medicaid Services (CMS) for October 2016. Budd Terrace received five out of five stars by CMS for excellence in quality, safety and adequate staffing needs to serve its patients. Out of 358 nursing homes in Georgia, only 26 of these received an overall rating of 4.5 stars or above. "We are honored and humbled to receive this outstanding recognition," says John Pulliam, administrator of Budd Terrace at Wesley Woods. "We are grateful to our nearly 300 employees and physicians who dedicate themselves to providing the highest standard of care to our patients and residents every day at Budd Terrace at Wesley Woods. This rating places Budd Terrace in the top 4.5 percent of all skilled nursing facilities in the United States." Pulliam also points out that Budd Terrace is beginning its fifth consecutive year as a five-star rated facility by CMS, which places it in the top 20 percent of skilled nursing facilities in the U.S. under CMS’s criteria. 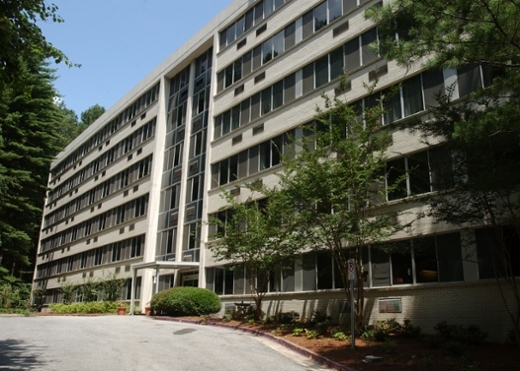 Budd Terrace is located on the Emory Wesley Woods Campus on Clifton Road in Atlanta. It opened its doors in October 1972 and has served thousands of Georgians since then. With 250 beds, the facility specializes in both post-acute care and long-term care. "The post-acute and long-term care provided at Budd Terrace is essential to the continuum of care process for our patients," says Sharon Pappas, PhD, RN, chief nurse executive for Emory Healthcare, who oversees the skilled nursing facility. "We are proud of this achievement, and are committed to assisting our patients throughout their health care journey."